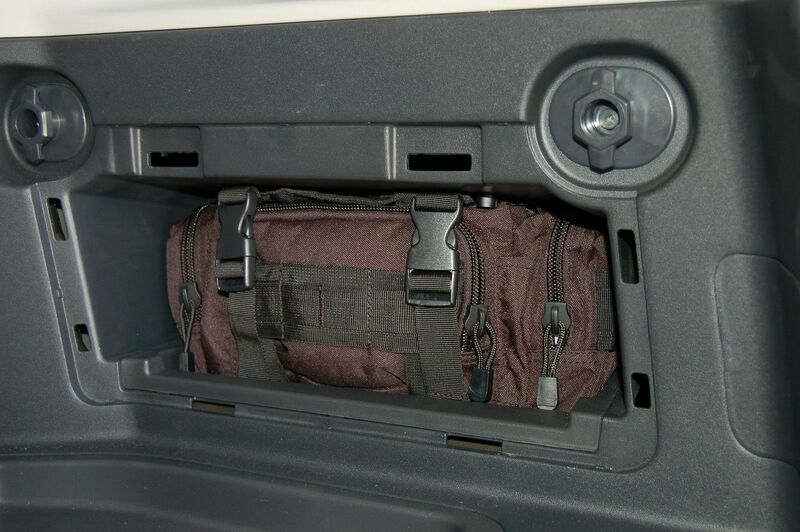 This pouch fits perfectly in the FJ Cruiser "hidden" compartment. Ever wonder what you could put in that space between the front seats and the doors, well here's the answer! This handy little bag fits snugly in this space and features multiple compartments as well as a water resistant interior. 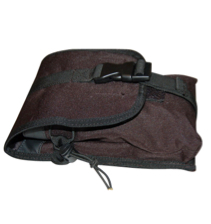 The bag has two side zip pouches, main and front zip divided compartments. One side features a small flashlight holder (mini-mag) and the other holder is perfect for a writing instrument. The sewn web carry handle flips out of the way when the compression straps/side release buckles are unsnapped. 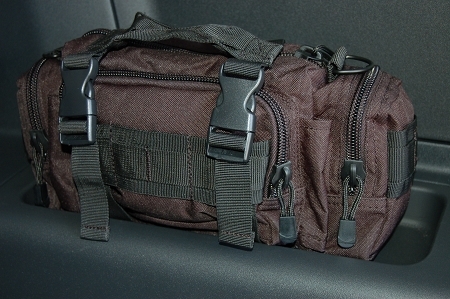 Of course, it has MOLLE- compatible straps on the back so it will work with our M-PAC Rack and a shoulder strap is provided to make it portable. Perfect for all those loose ends that are floating around your FJ Cruiser!